This Was a Great Story with Great Narration! Paige McAllister needs to do something drastic. 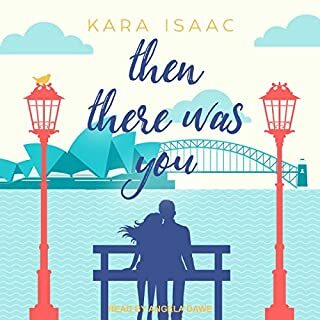 Her boyfriend can't even commit to living in the same country, her promised promotion is dead on arrival, and the simultaneous loss of her brother and her dream of being a concert violinist has kept her playing life safe and predictable for six years. A moment of temporary insanity finds her leaving her life in Chicago to move to Sydney, Australia. 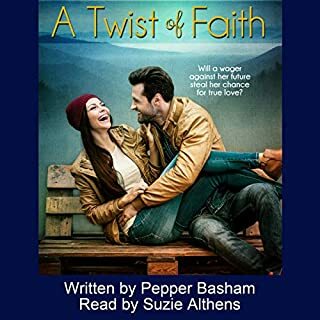 There she finds herself, against many of her convictions, as a logistics planner for one of Australia's biggest churches and on a collision course with her boss' son. 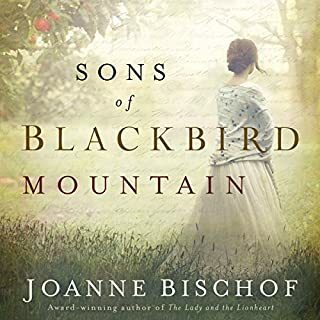 After the tragic death of her husband, Aven Norgaard is beckoned to give up her life in Norway to become a housekeeper in the rugged hills of nineteenth-century Appalachia. 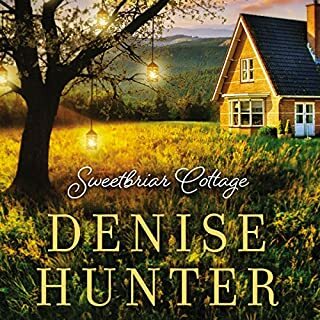 Upon arrival, she finds herself in the home of her late husband’s cousins—three brothers who make a living by brewing hard cider on their three-hundred-acre farm. Yet even as a stranger in a foreign land, Aven has hope to build a new life in this tight-knit family. But her unassuming beauty disrupts the bond between the brothers. The youngest two both desire her hand, and Aven is caught in the middle, unsure where—and whether—to offer her affection. While Haakon is bold and passionate, it is Thor who casts the greatest spell upon her. Though deaf, mute, and dependent on hard drink to cope with his silent pain, Thor possesses a sobering strength. As autumn ushers in the apple harvest, the rift between Thor and Haakon deepens and Aven faces a choice that risks hearts. Will two brothers’ longing for her quiet spirit tear apart a family? Can she find a tender belonging in this remote, rugged, and unfamiliar world? Suzanna Wilton has had a heavy share of heartache in her 27 years. Left wounded by a marriage cut short, she leaves city life to take up residency in a tiny Nebraska town. Her introduction to her neighbor Paul Rustin is a disaster. Assuming he's as underhanded as the other local cowboys she's already met, Suzanna greets him with sharp hostility. Though Paul is offended by Suzanna's unfriendliness, he can't stop thinking about her, which unsettles his peaceful life. Intrigued by the woman who lives down the road and propelled by a sense that she carries a painful burden, he frequently drops by to offer help as she adjusts to rural living. Just as Paul's kindness begins to melt Suzanna's frozen heart, a conflict regarding her land escalates in town. Even in the warmth of Paul's love, resentment keeps a cold grip on her fragile heart. I only managed to put up with this book for 26 minutes and it was torture. The narration had a weird echo/stereo sound (no, it was not my headphones, I tried all 5 of mine and one speaker), the narrator can't make different voices, and does not speak with emotion. In the 26 minutes that I listened, the plot seemed to have some potential and seems interesting but sadly, there is only so much talk about God that I can put up with. I am Unitarian Universalist. This story was great. I loved the characters and felt their pain as well. I liked how the characters were real people with real problems. I liked how the author presented the gospel message as well. It showed that even "Christians" are flawed people as well. The narrator did a fantastic job, however the sound was "tinny." Other than sounding like she was in an echoing hallway, to performance was very good. I would recommend this to anyone wanting a good clean romance. 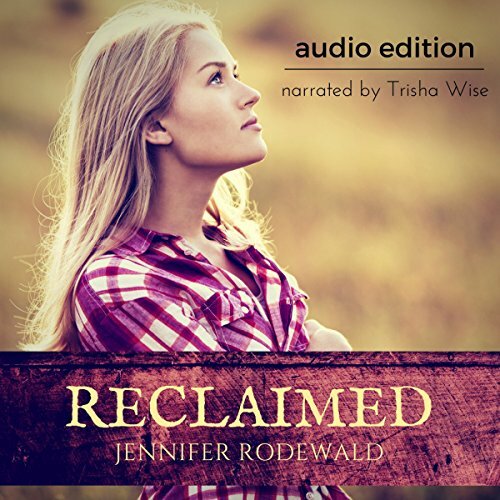 If you could sum up Reclaimed in three words, what would they be? What other book might you compare Reclaimed to and why? What three words best describe Trisha Wise’s voice? A story of forgiveness and acceptance of oneself and others.